Why is it important to conduct soil test ? Soil test is a valuable tool for your farm as it determines the inputs required for efficient and economic production of fruits and vegetables. A proper soil test will help ensure the application of enough fertilizer to meet the requirements of the crop while taking advantage of the nutrients already present in the soil. It will also allow you to determine lime requirements and can be used to diagnose problem areas. It is very important that your sampling technique is correct as the results are only as good as the sample you take. Soil testing is also a requirement for farms that must complete a nutrient management plan. 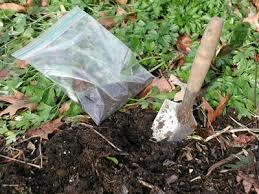 Soil samples can be taken at any time of the year, with fall being preferable. They are normally taken annually or simply as needed. While many companies or gardening centers offer soil testing kits, you can usually obtain a soil test at low cost through Oxfarm Organic Ltd. Avoid having the soil tested whenever the soil is wet or when it’s been recently fertilized. To take a sample for testing garden soil, use a small trowel to take thin slices of soil from various areas of the garden (about a cup’s worth each). Allow it to air dry at room temperature and then place it into a clean plastic container. Label the soil area and date for testing. Now that you know the importance of getting a soil test, you can better manage your garden plants by making the appropriate adjustments from your soil test results. Take the guesswork out of fertilizing by testing garden soil today. Contact our offices for more details.